VMware’s cloud infrastructure and business mobility solutions break the bonds that tie IT systems and end-user environments to physical hardware, providing both IT and the business greater efficiency, agility and control. VMware is the recognized leader in virtualization and automation of compute, networking and storage resources from the desktop to the data center and to the cloud. Our technologies and the open standards they support provide a powerful foundation. Server Virtualization and Consolidation Transform Your Data Center into a Flexible Cloud Infrastructure. Products: vSphere with Operations Management, vSphere, vSAN, NSX, Site Recovery Manager, vCloud Suite. HCI powered by vSAN consists of: vSphere: our industry-leading virtualization platform that provides server virtualization. vSAN: the only vSphere-embedded storage solution that delivers flash-optimized, high-performance, hyper-converged storage for virtual machines. vSphere with Operations Management delivers vSphere optimized for efficient server virtualization management by adding critical capacity management and performance monitoring capabilities. vCloud Suite Brings together VMware’s industry-leading vSphere hypervisor and VMware vRealize Suite in a single package. VMware NSX is the network virtualization platform for the Software-Defined Data Center. 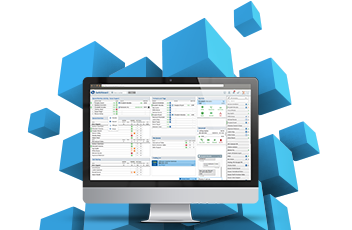 VMware vRealize Network Insight delivers intelligent operations for software-defined networking and security. VMware TrustPoint provides complete endpoint visibility and control with next-generation threat detection and remediation at unparalleled speed and scalability. VMware Workstation and VMware Fusion virtualization solutions provide IT pros, developers, and businesses with a streamlined way to deliver, protect, and manage Windows, Linux or Mac desktops and applications on-premises or in the cloud. VMware Horizon radically transforms traditional VDI – giving you unprecedented simplicity, flexibility, speed and scale – all at lower costs. VMware Horizon promises to have you up and running 30x faster and cut costs over traditional solutions by as much as 50%.